The "night unit" of Hamas in the Gaza Strip announced on Saturday that it will escalate its protests near the security fence, according to a report in Haaretz. The unit released a statement announcing that its members will operate near Israel's southern border from 7:00p.m. to early morning this week and will also increase its launching of incendiary balloons during the day. 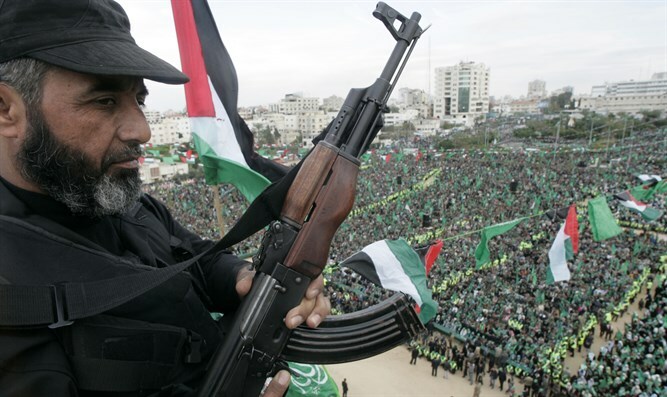 "Our position is clear," Hamas wrote in a statement as reported by Haaretz. "Either the blockade is lifted or the residents of the area [Israelis living in border communities] will have to evacuate." Two Gazans were killed by Israeli fire in renewed clashes along the Gaza border Friday, the Hamas-run "health ministry" in the enclave said.